After finishing a draft of this post, I decided to put this part first because it’s so much fun! This past Tuesday evening, I had my first meeting with the fellow who’s going to be developing my video book trailer for me. He’s incredibly talented–not only a computer whiz but also an accomplished musician/singer/songwriter. So, in addition to his skill with assembling the graphics, photos, etc., for the one-minute film, one of his original songs (which is absolutely amazing) will become the soundtrack. And I can’t wait for you to hear it! That video will, of course, be a huge part of the book’s promotion, and I’ll post the trailer on this blog first (right before YouTube … 🙂 …) As we make progress with the production, I’ll keep you posted. I think I’m more excited about this part of the plan than anything else except the book itself. Earlier this afternoon, I emailed (finally) the completed Rising Star application that I’ve been working on for the past several weeks. As a refresher regarding what that’s all about: Because Separation of Faith earned the Editor’s Choice designation, I became eligible for the Rising Star program. Reaching that level would be incredibly important since, among other things, a commissioned sales force would then begin presenting my novel to booksellers through privileged publishing avenues that writers (especially unknown writers) can’t get to. This is the type of support that mainstream authors receive from traditional publishing houses. But such assistance in the self-publishing world is difficult, if not impossible, to find. I’m not sure what other POD (print on demand) organizations offer, but iUniverse has varying levels of marketing assistance available for books that have met their quality criteria (writing as well as editing) and that have been written by authors who are already motivated and organized with a marketing and promotion plan. Well … the novel did earn Editor’s Choice … and I’m certainly motivated. Also, as I’ve indicated in previous posts, I’ve had plenty of marketing and promotion ideas and directions in mind for a long time. But I hadn’t pulled everything into one place, which is what the Rising Star application forced me to do. Then, once I was immersed in the process, I started to get a little overwhelmed. The undertaking that will begin in a few weeks when the novel comes out is huge—and as I’ve said to a few friends recently, I must be nuts to be doing this voluntarily. But onward we march. While marketing your book, what will be the challenging areas where you might want to seek professonal help? What kind of research did you conduct when writing your book? Specifically, how do you plan to market to your target audience? What is the one unique thing about your book? Who are you planning to approach for endorsement quotes, a foreword, or other testimonials? Sort of thought-provoking, right? How about this one: What things do you not want to do while marketing your book? Question–What publicity do you have planned? 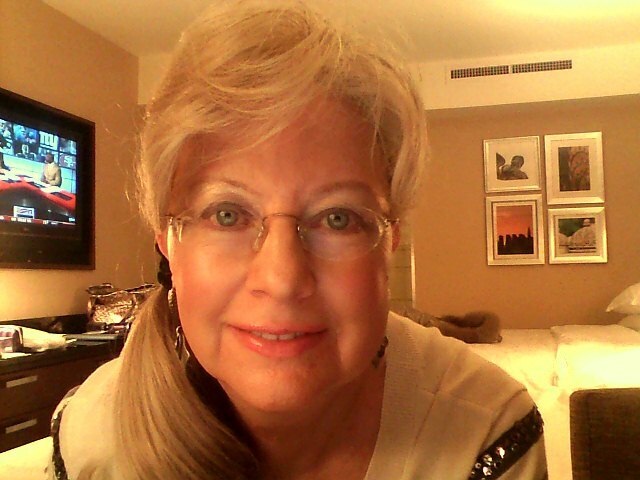 my sites on Facebook, Twitter, FiledBy, Scribd, LinkedIn, Red Room, and Writer’s Digest Community. Chambers of Commerce: Kettle Falls, WA, Bellevue, WA, Seattle, WA, San Francisco, CA, San Mateo, CA, Charlotte, NC—All locations are significant to the novel. Libraries: Alpine, NJ (where I live), Bogota, NJ (where I used to live and where there are six copies of my first novel, The Truth About Cinnamon), Cresskill, NJ (my local area), Hackensack, NJ (where I used to live and where there are three copies of my first novel, The Truth About Cinnamon), Teaneck, NJ (local area). Personal calls will also be made at each library, with particular emphasis on those where I have contacts on their boards of trustees. My author page on Amazon (www.authorcentral.Amazon.com) where I already have information loaded on my first novel, The Truth About Cinnamon. My author page on Red Room (www.redroom.com) where I’m posted on the Hall of Fame board in the site’s self-published section for The Truth About Cinnamon. My author site on www.filedby.com. My author site on www.scribd.com. My author site on www.writersdigestcommunity.com. My Twitter site via tweets. a) Every element of the marketing process will be tracked and discussed through my blog: A Real Journey from Publishing Obscurity to Somewhere Else (www.cherilaser.wordpress.com). The mission of the blog, launched in the fall of 2009, is to share the entire process surrounding Separation of Faith (writing, editing, revising, publishing, marketing) with other writers. Also included are postings of information and links to lots of writing/publishing-related issues, so any writers following me can learn along with me. The launch of this novel will be a very big deal on this blog and one that a lot of people will be anticipating. d) I will promote Separation of Faith on Kindle, Sony Reader, and the Barnes & Noble Nook. e) Once my marketing plans develop legs, I will pursue guest posts on strategic blogs, beginning with “There Are No Rules,” the blog of Jane Friedman, strategic director of Writer’s Digest. I also had to list all of the specific events I plan to hold. Of course, since I don’t know yet the precise date when the book will be live on Amazon and all the other online bookseller sites, I couldn’t list the event dates. (Mid-July is looking possible.) But I do have commitments from the different venues–and there will be twelve events in the first 6-8 weeks, the largest of which will be the Book Launch Party, which I’ll be holding at the Hilton in Hasbrouck Heights, New Jersey, where my Rotary club meets every week. The answers I’ve shared with you in this post represent three of the thirty questions asked in this application. And even though I’ve been grumbling a lot as I put the thing together, the end product has actually given me a very well organized plan to follow. So, even though I’m praying that I’ll be accepted into the Rising Star program, I’ll be very clearly directed if I’m not. And reminding myself about the mission of this blog (see Blog Launch Posting on November 4, 2009), I should have a shot of getting there on my own with this new, comprehensive map I’ve managed to develop as a result of the application process. Guess we’ll start finding out soon enough. But that’s a chance we have to take, if we want to get some of those great quotes we see on other authors’ books. Right? Right. Scary, though, to be sure! Regardless of whether you’re a writer determined to exclusively pursue the traditional Journey to publishing, or an author who’s looking at the different (and viable) options now available to us, I strongly recommend your taking a look at this seven-part interview: http://www.sramanamitra.com/2008/07/10/opportunity-within-the-long-tail-of-book-authors-iuniverse-ceo-kevin-weiss-part-1/. Kevin Weiss is the CEO of iUniverse, and even though the interview was done two years ago, his comments are still hugely relevant today (a good indication of his insight). Hopefully, you’ll find something enlightening (or at least somewhat interesting) in what he contributes to the conversation. Don’t I wish. Now that the Rising Star application is finished, I need to focus (again … more … still …) on the reduction edit of The Truth about Cinnamon. Who knew six or seven months ago that all this other stuff was going to take so long. (Of course, my surgery thing got in the way a little. But I’m really doing well now, thank heavens.) At any rate, I need to get that edit finished pronto, because the 2nd Edition of Cinnamon is very important to the Journey in the long run. Thanks So Much for Stopping By. Please Let Me Hear from You! And I hope Everyone Has an Absolutely Fabulous Weekend as Summer Officially Rolls In! My review of the copyedit is complete, and I’ve been communicating with the editorial board at the publisher regarding a few questions (blond versus blonde being one). Now I have a few little things to clean up, and then I’ll submit the final copyedited manuscript back to the publisher, at which point the book will enter the production phase. The plan is for that to happen today! Yay! I’ll keep you posted on each of the production steps as they unfold. The development of the book’s cover will be one of the most important tasks to happen first, I imagine. But I’ll let you know. Regarding “blond” versus “blonde,” Merriam-Webster lists the two terms as variants of both the noun and adjective forms; however, “blond” generally refers to a male and “blonde” to a female. An excerpt from Merriam-Webster is below. We recommend following the editor’s changes in all of the items you have listed in your e-mail. And I must tell you that, as I was going through the copyedit, I could actually see the transformation of my manuscript from something I had entered in my computer into a quality edited product typical of what we see coming out of traditional publishing houses. Believe me, this has not only been an immensely educational exercise but one that I’m very grateful I pursued! If you’ve been to any/many writers’ conferences, you’ve probably heard some publishing professional (usually an author) say that writing the book is the easy part. And, of course, who would ever believe such a ridiculous comment? Well, I do. Schedule bookselling events wherever I can find a willing host. Add information about my public speaking offering to every book promo element. In addition to all of this (and more that keeps popping into my head), I will still need to be involved with elements of the book’s production process–and oh, by the way, I also have to squeeze in my surgery on May 4. So “writing the book is the easy part” doesn’t seem so far-fetched now. Whoo boy. Where’s my nap? If you are seriously pursuing this Journey of becoming a published author, securing domain names long before you have a finished book is critical. The first and most important domain name to secure is your own name. I registered for “cherilaser.com” after the pivotal conference last September, amazed that I hadn’t already done so when a speaker mentioned the issue in one of the conference sessions. I was really worried that someone else might have already taken that one (because we’re not the only ones in the world with our same names), but I was lucky. The last three of those relate to my editing business and to my speaking engagement plans (referenced in other posts on this blog). And when I come up with a title for my third novel, the first thing I’ll do is reserve that name. There are lots of sites where you can secure domain names, but I’m using GoDaddy (www.godaddy.com). For the past month or so, I’ve been worrying about the next book. Why, you ask, when I’m still so wrapped up in the second one? Well, what if someone who pops up as a result of all that promotional work asks me what my next project is? Being stuck for an answer would not be very comfortable. There is one project I’m considering–a memoir that I started a few years ago that I’m thinking about fictionalizing. And then there’s the possibility of a sequel to Separation of Faith. But whatever I’m going to do needs to take shape pretty quickly. I can’t dilly dally around and take any more six-year segments of time to write a book. I need to get this process down to a book every year (or maybe between one and two years, she said, trying to imagine the improbable 🙂 ). The story needs to arrive in my head already in outline form, for the most part. The setting needs to be here in the New York City area so I don’t need to travel beyond a normal commute distance to accomplish my research. The two ideas I mentioned earlier didn’t meet either one of these criterion. So every trip I’ve made into Manhattan recently for this health/surgery situation has found me studying every person and situation crossing my path for a potential storyline. (I keep waiting for someone on the subway to say to me, “So what are you staring at?”) And I guess my subconscious must have been working on this more than I realized because last night I had a dream where I met my new protagonist (a man). He was so real and vivid that I remember everything about him, and I’m rarely able to remember details about my dreams. Then this morning the “outline form” of the story started showing up in my mind. That’s all for now. Have a fun and productive day! I hope I’ll run into you while tag surfing (planned for tomorrow morning). This morning I had an early appointment to get my car serviced, and I expected a long wait, since a gear shift issue needed to be tended to along with the regular maintenance due. So, I took my Netbook (aka “mini”) with me. During the three hours I was there, I prepared the seventh issue of Cinnamon’s free serialization. That process usually takes between one and two hours due to the formatting problems that resulted from the publisher’s book-blocked version being translated into my computer. I also made progress on the new edit of Separation of Faith (yes, another one–see separate topic in this post). As I was working, I would occasionally look up at the other customers in the waiting room, who were either watching television or staring off into nothing, as if in a coma. If not for my mini, that might have been me as well :-). As I mentioned in my November 11 post, anyone who is trying to squeeze out precious minutes here and there, from an otherwise crammed-full life, to get a little writing done (or maybe finish a book) really needs to investigate the idea of a mini. There’s no cumbersome, heavy laptop to worry about–just a little thing that fits in my purse. Here’s the link I included in November, for some initial comparisons of netbook models: http://www.tigerdirect.com/applications/category/category_tlc.asp?CatId=2814. Here you go: http://www.filedby.com/author/cheri_laser/2721580/documents/26568982/. As always, please let me know if you’re giving this a try. The inadvertent mixing up of multiple points-of-view (POV) in a single scene or chapter. This problem exists in a handful of places. A few additional areas where I was doing the same thing that resulted in the new chapter in my last edit. This time, I was periodically overusing letters and journals to “tell” a part of the story rather than flashing back so the reader could “experience” that part of the story. In each case, I remember telling myself as I was originally writing those sections that the letter or journal would be “faster and shorter” than flashing back. But when I was doing the post-beta readers edit, I was so focused on the big things, like the new chapter, I overlooked the other areas that have now popped up. A few areas where dialogue needs to be transformed into narrative (again, the point is that I was telling instead of creating the experience). I received the editorial evaluation back at the end of last week and started the edit on Saturday. This one is moving pretty quickly since the scope of what needs to be “tweaked”–the verb used in the evaluation–has now been narrowed to the three issues. Some portions will take longer than others, because turning a journal entry into a flashback is challenging. But my goal is to be finished by my next post on the 15th, or shortly thereafter. Once I’ve completed the edit, there will be another evaluation–and then we’ll see where we are at that point, with respect to the “Editor’s Choice” designation. I’ll keep you posted.